Love these. I was worried because of some of the previous reviews but they are beautiful and work perfect in my area. They seem sturdy and lid proof. Easy to wipe down. Add a beautiful, rustic look to your dining space with the Eleanor Double X Back Bar Height Chair from iNSPIRE Q® Classic. The chairs' visible wood grain and graceful X back adds a sense of antique charm to this design. This chair set is perfect for your bar or bar height counter! 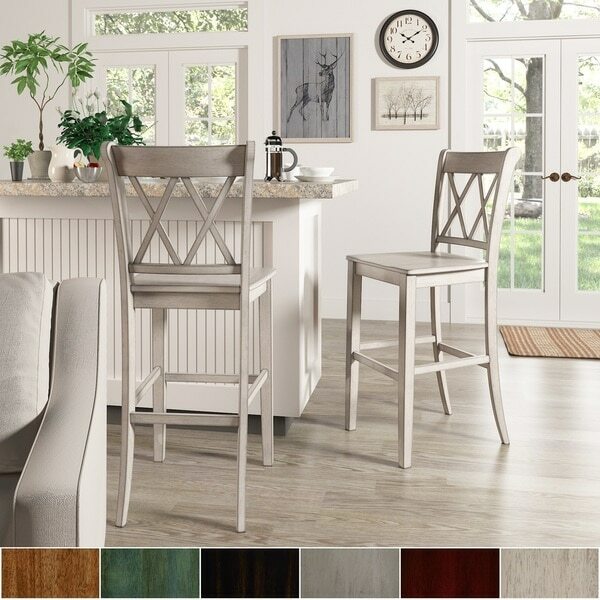 The chairs are available in several distressed finishes, including neutrals and bright hues, so you can mix or match colors and express your unique design taste. These bars chairs are very sturdy. Took a while for me to put together the first one. But the others were quick since I made all the mistakes on the first one. Look great! I absolutely love these chairs! They are a great deep red color. It is the perfect pop of color in my kitchen. The chairs are very sturdy and easy to put together. Great buy! I ordered two sets of these chairs, one set black and one red. Very disappointed with the red because it wasn’t red it was maroon. I sent back. I am pleased with the black and will keep these. They weren’t hard to put together with the exception that the instructions were for dining chairs not bar stools and there were extra parts for stools. These chairs are perfect and just what we were looking for! They were well packaged to prevent any damages from shipping. We have had issues in the past with items being damaged but not with this item. They are very well made and sturdy! The color was exactly what we were looking for. The assembly was very easy as well! We love these chairs!!! We were thrilled to find these! We have been looking for new bar stools that are classic, but a little different. The gray offers versitility. Easy to assemble. These are beautiful chairs and they match my dining table perfectly. They seem very stable so far. The glue that was sent with them I chose not to use becasue it looked like Elmer’s glue, if you have wood glue I would recommend just using that. I did have an issue with one of the chairs putting them together Where I had to get a longer screw becasue the predrilled holes were drilled too deep. Would definitely recommend these stools. They are just as they appear. They are sturdy, have a rustic, French country style. Very pleased. Two complaints. 1. Wish you could order individually because I only needed 3. 2. A few screws were missing and one of the brackets that goes underneath was cracked, but still worked. WELL worth the price. Very happy with these. Beautiful and sturdy. Great color and finish. Assembly took about 15 minutes per stool. 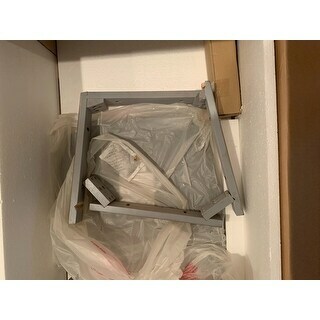 I ordered two sets and one stool from each package arrived damaged. Customer service quickly arranged for a replacement set and a pickup of the damaged stools. Love the look but the predrilled holes in seat were off or just not even there. Had to clamp and drill new holes which took a long time. company was very helpful in either sending new seats or giving a credit to either my card or store credit though. So product is getting an average but overstock fixing problem is above average. I can not review yet because they need assembling and have not had time to out together. I very much like the style though and I am sure they will work. Purchased 4 eleanor grey. Boxes arrived looking fine, but the box frames inside are all destroyed. 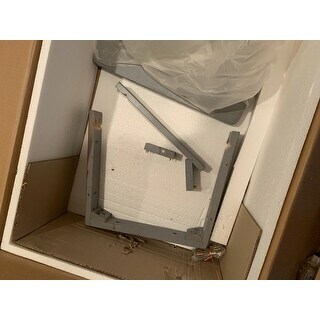 The chairs parts are packed fairly loose by the manufacturer and thus in transit they got crushed. 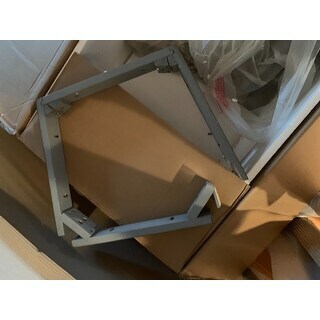 Very sturdy and easy to esemble great product. I bought the green chairs and they are so beautiful! I highly recommend these! They are holding up well so far. Holds up well with scuffing. The kids are bad about ramming them into the counter but they are holding up very well! "When will the grey be back in stock?" This item in antique grey is estimated to be back in stock in January 2019. "Will you please alert me when the antique white is back in stock?" This item is estimated to be back in stock in January 2019. "When will you be getting the white and gray back in stock?" "What is the measurement from the seat to the floor"
"Does the antique white bar stool chairs look like a light gray"
These chairs have a distressed finish and therefor have a darker undertone to them. Bar height stools with an antique white wood appearance. Match my kitchen set that I have already. Hope it exceeds my expectations. "Can this barstool be purchased as a single chair as well as a set of 2?" Unfortunately, these are packaged as a set of two and cannot be separated.